Coreopsis lanceolata.commons.wikipedia.org. . (Accessed 5/2014). 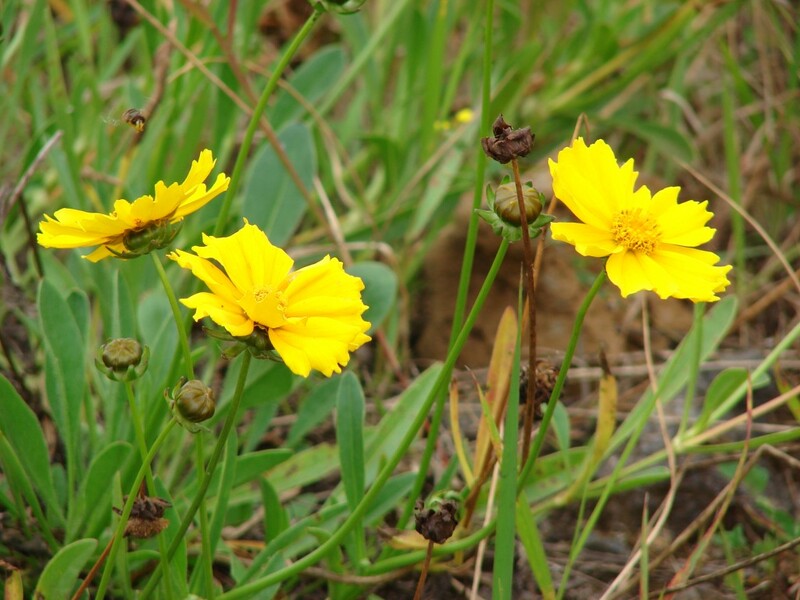 Coreopsis lanceolata is a perennial herb to 60 cm tall, stems clustered, leafy below, naked above. 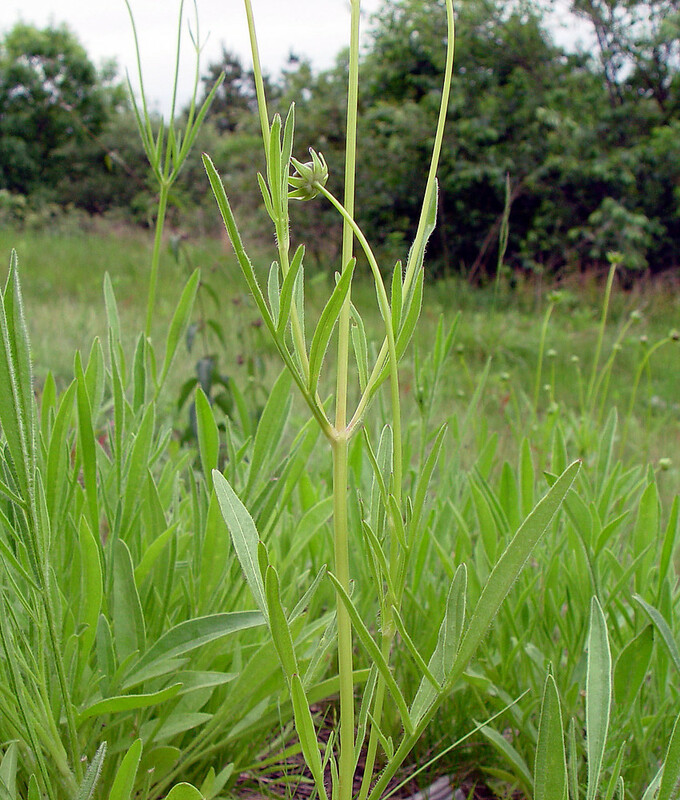 Coreopsis lanceolata leaves and stems. By Arthur Haines. Copyright © 2018. New England Wild Flower Society. gobotany.newenglandwild.org (Accessed 1/2018). Leaves opposite, lower leaves spatula-shaped to linear, to 20 cm long, 2 cm wide, often with 1-2 pairs of lateral lobes, upper leaves smaller, stalkless. Flowers yellow, rays to 3 cm long, disk to 2 cm wide, basal bracts in 2 rows, the outer 8-10, margins papery, inner bracts longer and wider heads solitary or few on long leafless stalks. Coreopsis lanceolata fruit. By Keir Morse. Copyright © 2018 Keir Morse. www.keiriosity.com (Accessed 1/2018). Fruit dry, 1-seeded achene 0.3 cm long, winged, with 2 membranous teeth. Origin: Native to Midwestern U.S. Escaped from cultivation or planted in restorations. Habitat: Does well in dry, sandy soil, prefers soil pH 6-7 (USDA, NRCS 2006), open habitats, full sun (Gargiullo personal observation).